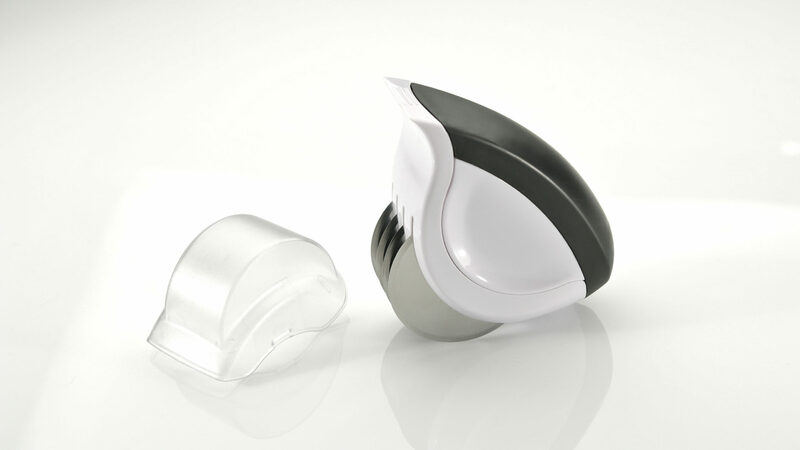 Preparing fresh herbs is simple and safe with the OXO Good Grips Herb Mincer. 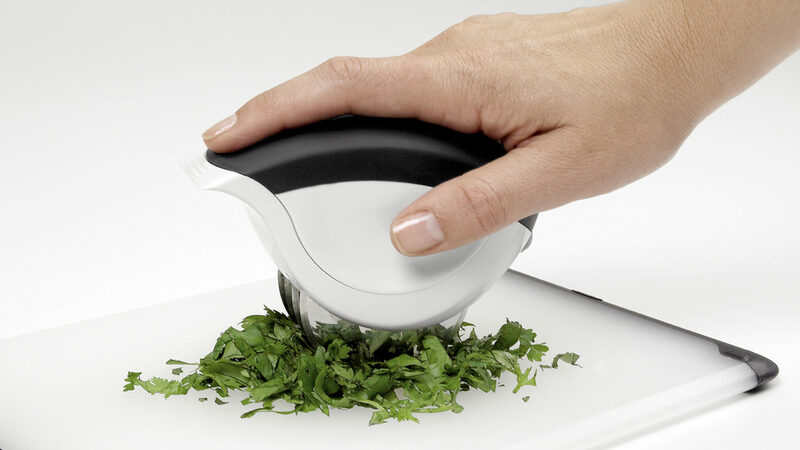 Stainless steel blades quickly chop fresh leafy herbs like parsley, basil, cilantro and more. A soft, non-slip grip keeps hands away from blades while cutting. 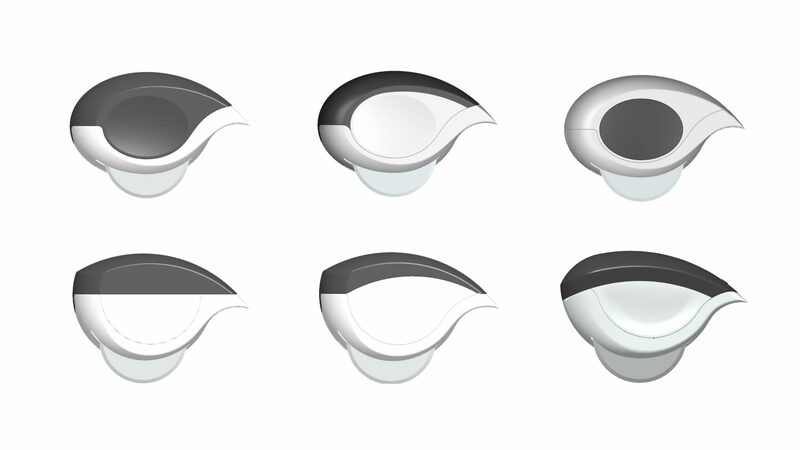 The front end functions as a scraper to gather herbs into a neat pile for more efficient mincing. 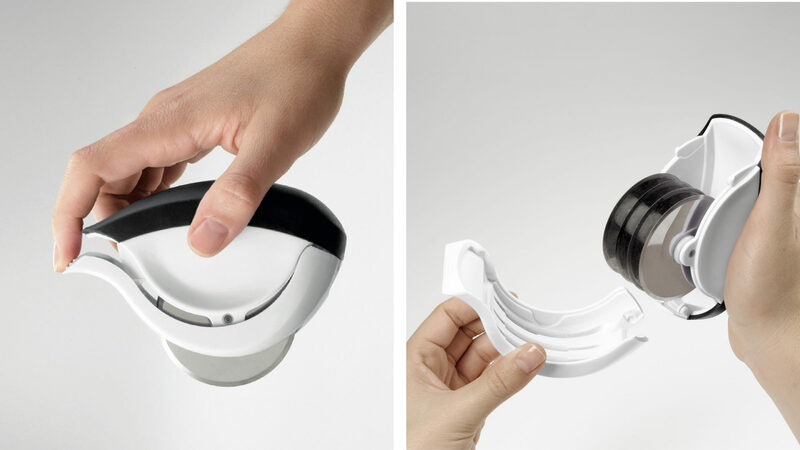 The Mincer opens to wipe the blades and separates completely into 2 pieces for easy cleaning.